It's a wrap on the first weekend of the Austin City Limits Music Festival. Three full days of performances, Matthew McConaughey wearing the best t-shirt ever and perfect weather ensured an epic start to the fall festival season. We'll be back soon with even more from weekend two of the Fest. 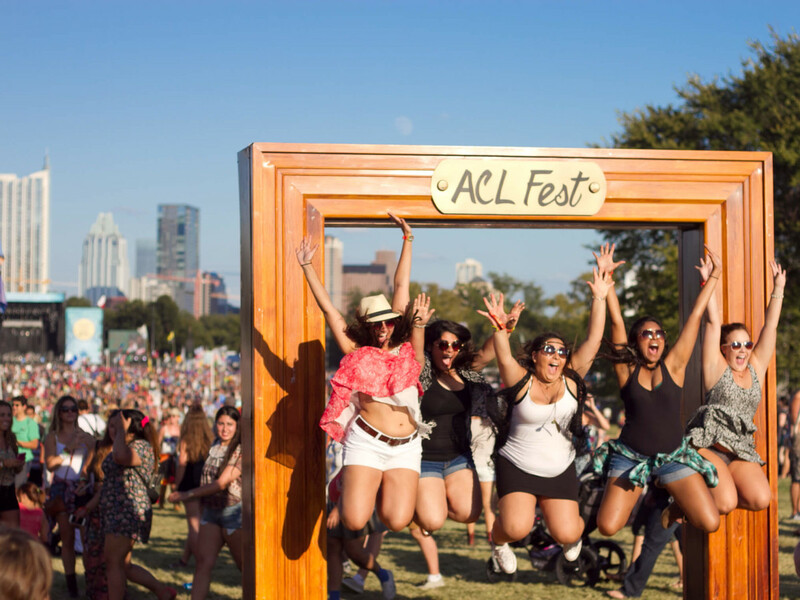 Shirin Ravandi, Carly Stripling, Ranjani Panda, Neli Sabour and Noura Moayyad do the traditional jump out of the ACL Fest frame. While not watching bands, fest goers could peruse the many vendors in the Art Market, including colorful and quirky local brand Teysha. Gaslight Anthem plays on the Samsung stage. 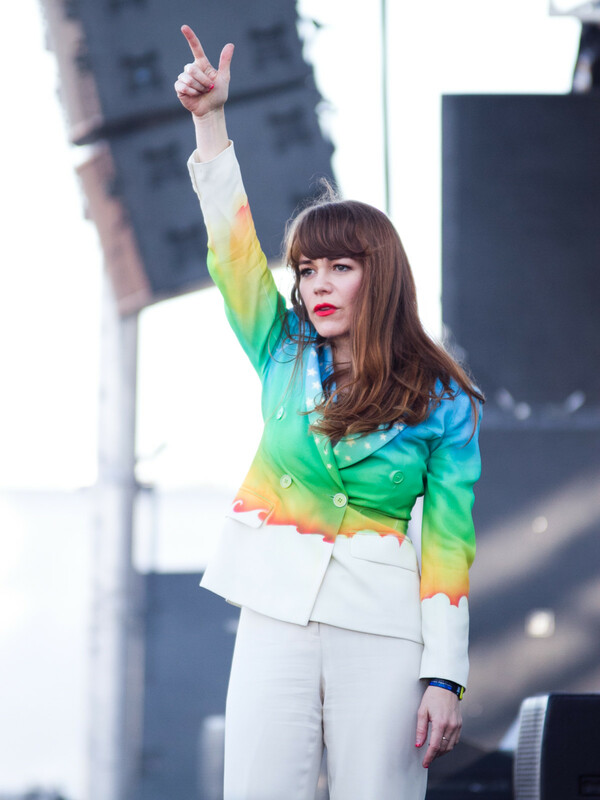 Jenny Lewis singing on the Austin Ventures stage. 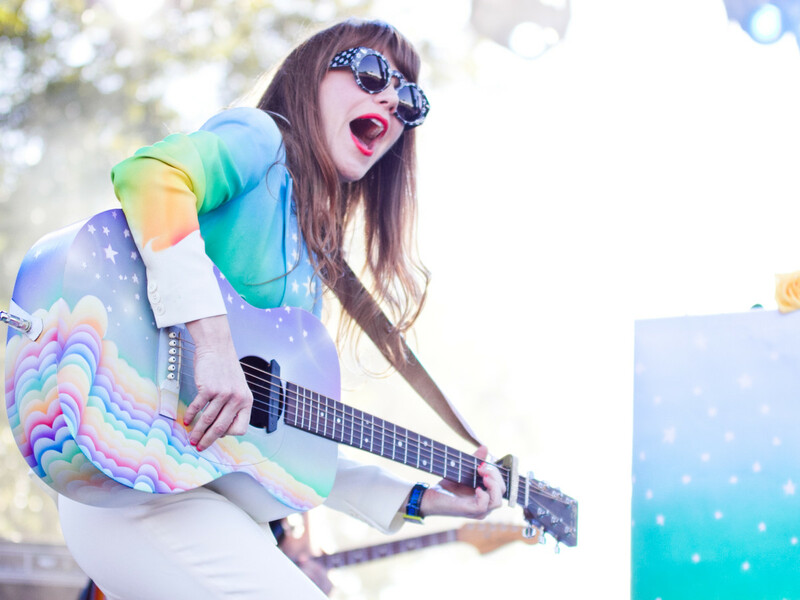 Janelle Revord gets interviewed about her fandom before Jenny Lewis' set. The crowd is mesmorized by Lewis' set. Norman Reedus of The Walking Dead fame gives a thumbs up while watching Lewis' performance from backstage. Cults play on the Austin Ventures stage. Madilyn Thomas dances with her hoola hoop during Phantogram's performance. Tons of local vendors were selling eats at the fest — including Southside Flying Pizza. Folks looking for something sweet could grab an ice cream sandwich from Tiff's Treats. The Last Internationale plays on the BMI stage. Jen Du, Jonathan Horak and Jojo, keeping ACL weird. 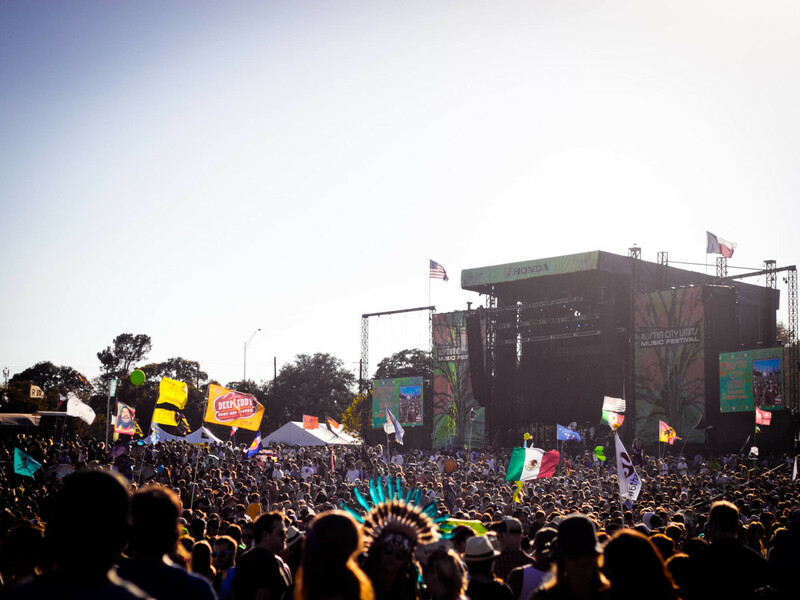 The sun sets over the first weekend of ACL.